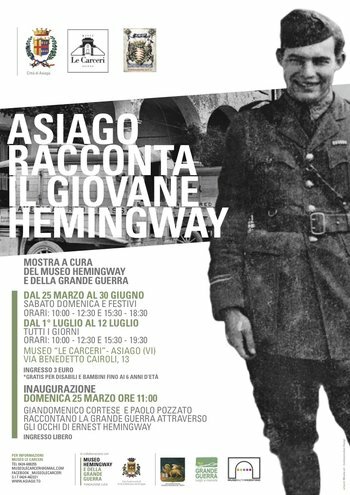 Opens a new exhibition season at Asiago Prisons Museum with historical exhibitions linked to the last stages of the great war in 1918, an exhibition dedicated to the young and future Nobel Laureate Ernest Hemingway . From 25 March to 12 April 2018 the municipal administration of Asiago, Department of tourism and culture, in collaboration with the Fondazione Luca "Museo Hemingway and the great war" by Ca ' Contarini in Bassano del Grappa and the Cooperative "Il Faggio" offers a retrospective on the presence on the plateau of the young future journalist and writer-American Red Cross volunteer driver then--and u.s. allies. On the trail of the myth of Hemingway back naturally between Bassano and Asiago and find themselves immortal stories of Heroes episodes, events of everyday life that the exhibition at the Museum "Le Carceri" offers today to reflection of visitors. "Caccount for the history of the great war through the testimonies of a Nobel Prize for literature -said the head of tourism and culture Clare Stefani- means discovering new aspects related to the presence on the plateau of the allies and the same Hemingway. 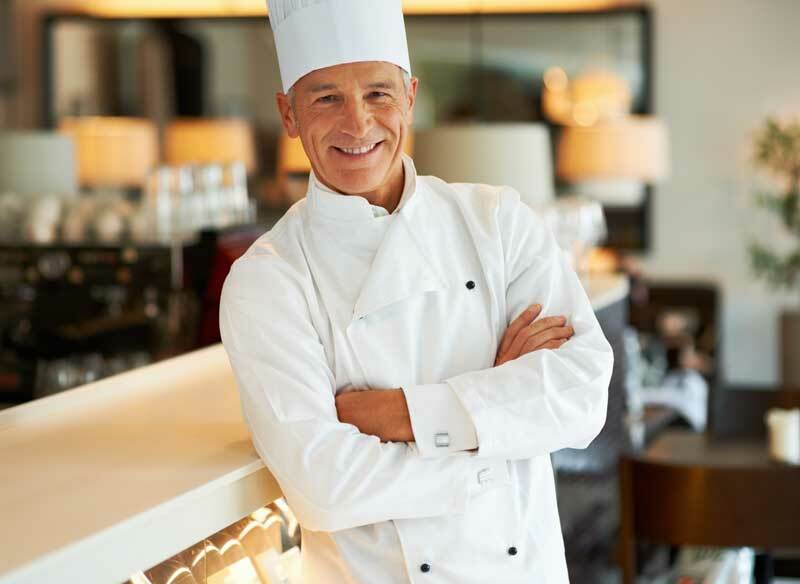 It is striking that the famous writer, who spent her life traveling and living in many parts of the world, has always been deeply fond of the Veneto and the places that they saw him young soldier, much to come back repeatedly and at length". The exhibition consists of panels with photos and texts that prove the presence of Hemingway in our territories in 1918, bulletin boards with rare editions, multimedia rooms and locations teaching. To accompany the opening ceremony of the exhibition, Sunday 25 March at 11.00, an introduction by historian prof. Paolo Pozzato and journalist Dr. Giandomenico Courteous. During the months of operation are planned many events: guided visits to the exhibition by the Highland Guides, workshops for children and families by Dott.ssa Lucia Salinas, meetings at Museum and places of the South front by Dott. Andrea Vollman and screening of the film "farewell to arms" in collaboration with the Cinema Lux. In April 1918 the United States of America entered the war, and Ernest Hemingway, class of 1899, he introduced himself as a volunteer to go fight in Europe with the American expeditionary force, as they were doing many aspiring young writers who were from universities, including John Dos Passos, William Faulkner and Francis Scott Fitzgerald. Excluded from departments fighters because of a defect at the sight, he was drafted into the services of ambulances as driver of the ARC (American Red Cross, the American Red Cross section) and was assigned to the Italian front in cities Schio (Lanificio Carter) and Bassano (Cà Contarini) at the foot of Mount Pasubio, del Grappa andAsiago plateau. The young Hemingway wanted to participate in the war but "closer" and so he asked to be transferred. He was sent near Fossalta di Piave as Assistant to the trenches, where he was supposed to distribute kinds of comfort to soldiers going to the front lines by bicycle every day. During the night between 8 and 9 July, at the height of his duties, was hit by shrapnel from the explosion of a bomb in Austria heavy. He tried to save the wounded, but as she headed to the command with an injured shoulder, was shot in the right leg by machine gun bullets. After the first treatment received at the Hospital of San Marino, in mid-July was transported to the American Red Cross Hospital in Milan, where he was operated on and remained for three months. Once discharged and awarded the Italian silver medal of military valor, he returned to the front in Bassano. In June of ' serious wounding 18 before and after convalescence in Milan, with its ambulance had risen several times in our mountains and became fascinated by faces and places that have remained well marked and which transferred then in dozens of stories and novels loads of emotions, in masterpieces such as "farewell to arms", "across the river and into the trees", "the disappearance of Pickles Mc Carty." Hemingway reached already alive fame and popularity, which raised to myth of the younger generation. He received the Pulitzer Prize in 1953 for "the old man and the sea", won the Nobel Prize for literature in 1954 and many of his works are considered cornerstones of American literature. The Ca ' Contarini, strongly backed by the owners and promoters dott. Renato and Alberto Luca, has become the symbol of memory, the "container" of memories of Hemingway and "poets of Harvard", of those young American volunteers who lived as protagonists the final months of Great War and here nurtured their minds to that drama of humanity that was the first world war, who then transferred in their experiences and in the literary works of which they were the authors. Theinauguration of the exhibition on Sunday 25 March at 11.00 hours. Giandomenico Courteous and Paolo Pozzato will tell the great war through the eyes of Ernest Hemingway.